In August, Japan reopened its first nuclear reactors after an almost two-year hiatus that followed the 2011 earthquake and tsunami. Now, months later, Kyushu Electric Power Co. is preparing to guard the controversial energy source against terrorist attacks, too. 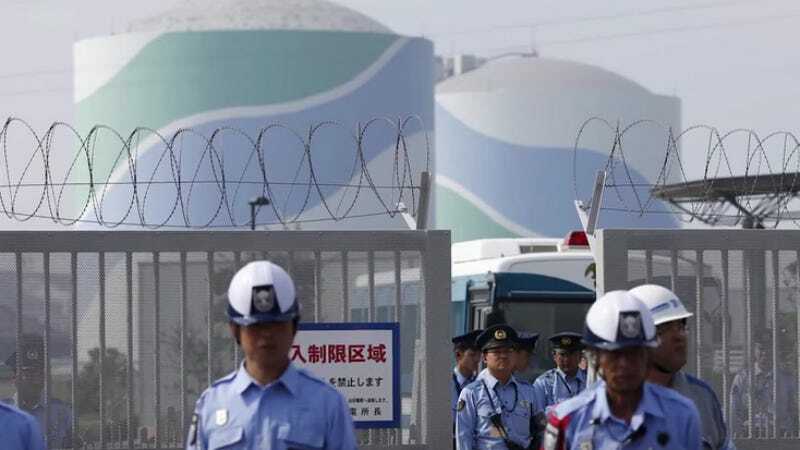 Asahi Shimbun reports that Kyushu Electric Power Co. will build off-site terror response centers near the two rebooted reactors at Sendai Nuclear Power Plant in Kagoshima Prefecture on Japan’s southern tip. That’s on the opposite side of the country from where the Fukushima quake, tsunami, and resultant nuclear disaster at the Daiichi power plant unfolded—but the government had issued a nationwide nuclear shutdown following the crisis. The $775 million emergency centers aren’t a direct response to recent terrorist attacks across the globe. Their installation is part of nuclear safety guidelines that were rolled out in 2013. They will be installed in Kagoshima first, and will then be built elsewhere in Japan. Among other safeguards, there’ll be a control room from which staff can remotely cool reactors in case an aircraft crashes into them. The company hopes to have installation finished by 2020, the same year nearly a million foreigners will be in the country for Tokyo’s Summer Olympic Games. Meanwhile, with the heightened global presence of Islamic State supporters, the Japanese government has been more concerned about facing possible terror threats in the future. Earlier this year, ISIS kidnapped and executed two Japanese journalists in Syria. While there’s no way to truly terror-proof something, at least these steps are barriers to catastrophe.